As most of you are probably aware, the month of November has been designated by The Movember Foundation as Movember; the month for raising funds for and awareness of mens health issues, specifically prostate and testicular cancer. As part of the month-long campaign, men around the world were encouraged to grow a mustache for the month. I participated in this fundraiser in 2010 but my mustache grows so slow that I have decided to just keep it and participate in the fundraising efforts via other avenues. Local craft brewery, The Dudes’ Brewing Company, participated by holding a Movember Celebration and Shave-Off over this past weekend. Sunday afternoon I headed out to Alhambra to attend the 9th LA Beer Bloggers Summit which was held at 38 Degrees Ale House & Grill. In addition to the networking opportunities with other beer bloggers and other various media formats we were treated to talks by 38 Degrees co-owner Clay Harding, Danny and Franny Fullpint and the Ohana Brewing Company crew. Clay Harding talked about his history and how 38 Degrees Ale House & Grill came about and spoke a little on their upcoming events. Danny Fullpint and Franny Fullpint gave us a brief rundown on how they got The Full Pint to its current position in the craft beer world. Ohana Brewing Company owner Andrew Luthi introduced us to his brewing team consisting of Eric McLaughlin, Erick “Riggs” Villar and Robert Sanchez. Ohana Brewing also provided samples of three of their craft beers; Pacific Ale, Saison Noir and Wee Smokey. As Ohana Brewing was just recently granted a Conditional Use Permit to open a tasting room and growler fill station literally right next door to 38 Degrees, we were given the opportunity to visit the storefront location. All in all it was another fun afternoon of networking and enjoying good craft beers. 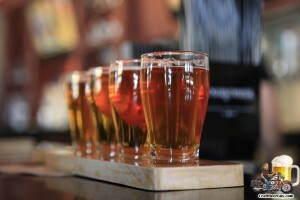 LA Beer Bloggers is an informal network of bloggers from Los Angeles and Orange Counties that dedicate their time towards the promotion and growth of the local craft beer scene. 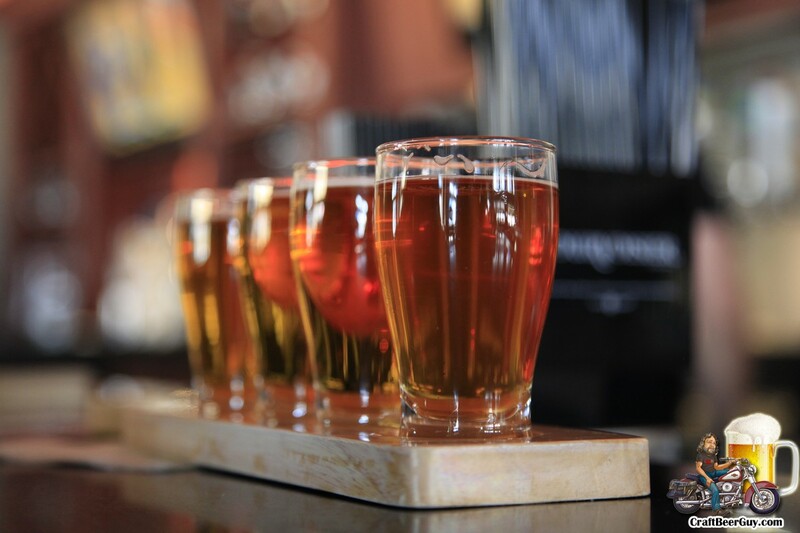 With all the new craft breweries popping up brewers and brewery owners rely on word of mouth to become known to the beer drinking public; beer writers help make this possible on a larger scale. 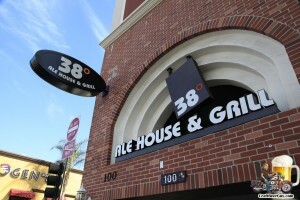 These photos are from the 38 Degrees Ale House and Grill 4th Anniversary Celebration, held today in Alhambra. 38 Degrees Ale House and Grill is a gastropub that I visited for the first time back in February when they had their Pliny the Younger release party. Even though it is a 30 mile ride out there, I knew that I was going to have to return; their guest tap list was pretty impressive and the food looked and smelled good. When I heard they were having their 4th anniversary celebration I knew that this would be an outstanding event. It was a little over three months ago that I first heard about 38 Degrees Ale House and Grill; after all, they are all the way out in Alhambra and I am in the South Bay so there was not a lot of reasons that I had to be aware of them. On one particular evening I happened to be at a beer event in Hermosa Beach and someone I was talking to received a text telling him that there was going to be a Pliny the Younger release party at 38 Degrees in Alhambra. I had heard a lot of rumors by that point, so I called 38 Degrees to confirm the rumor and after talking to co-owner Clay Harding it was decided that I would come out and cover their event. To be honest, I was not really sure what to expect; I certainly was not expecting what I found there. Looking past the 400 people standing in line to get in, one guy for more than three hours by the time I got there, I was pretty impressed. 38 Degrees Ale House and Grill is huge; it must seat more than 200 people. They offer 38 beers on tap or cask and I do not recall seeing any Budweiser or Miller there. In fact, I was a little disappointed that I had ridden my bike out there because there was a lot to choose from and a designated driver would have been nice. I did not eat, but it seems like everyone around me did. I asked a couple people about the food and they all spoke highly of it. When I left, I knew I would have to return to spend a little more time.